If you are thinking about starting your expanding business you are faced with the task of finding a new office. What will it be? How will your employees feel at work? It depends on the interior of the office and its design, which should combine both corporate identity and ideology of your company, and provide a pleasant atmosphere for the employees to work in. 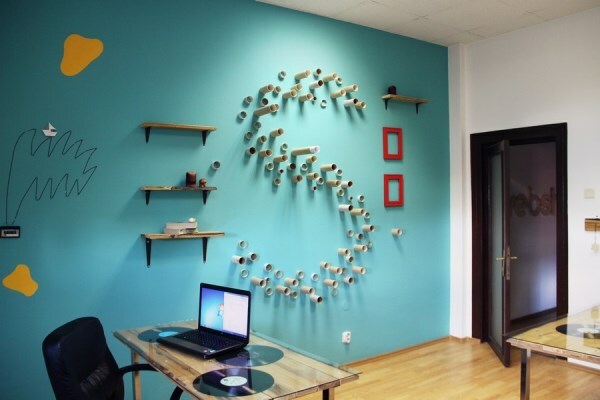 A good example of a budget and creative office was presented by a Romanian designer Monica Kordunyan who designed an office for Webshake. Monica Kordunyan is an architect and a designer, the founder of the Romanian architectural studio Archinteriors. The idea of a compact office design just for 10 people was very simple: to create a bright space for both work and leisure, which each employee can personalize. The customers have offered to actively use the color and the designer have chosen a bright scheme for the future interior: turquoise and yellow as primary colors and red for details. When choosing colors Monica was guided by the corporate style: yellow details on the walls are the logo of the customer’s company. The space is divided into three rooms and looks like a habitable apartment. 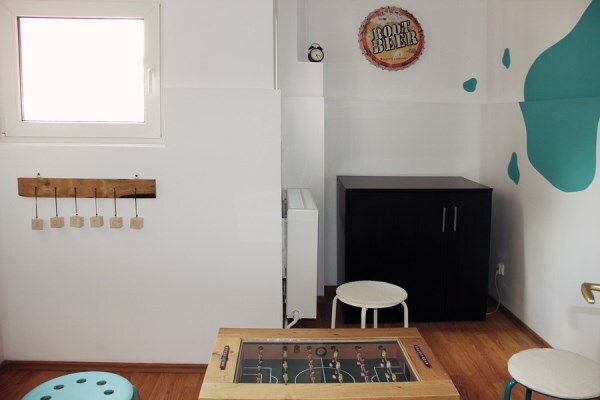 Despite the small yardage, the largest room is used for games and recreation. The remaining rooms serve for work. The rooms for the TOP managers have several original chips. 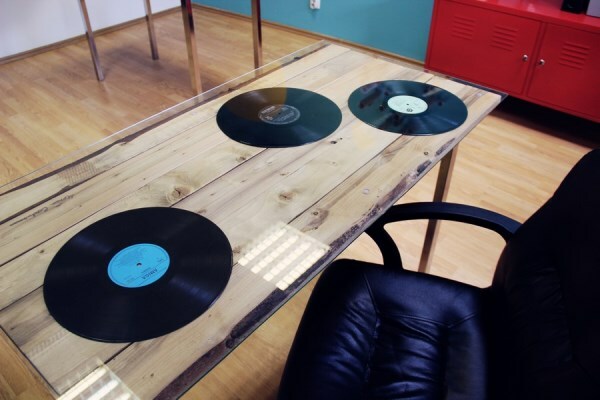 For example, there are vinyl discs on the desktop covered by glass. A remarkable detail is repeated in each room: the letters are composed of cardboard tubes. They conveniently store papers and can be used to hang clothes as well as can be colored and complemented. And besides, they give a very spectacular shade in natural lighting. Monica has designed a coffee table with integrated table football specially for the game room in the office. The interior details and comfortable furniture helped to create a space for relaxation and informal meetings with clients. The interior contains a lot of simple and cheap office furniture from IKEA. Storage is provided by shelves and dressers. Wood occupies a special place among the materials used for decoration: most of the furniture, flooring, and even a company’s logo at the entrance are made of natural wood.